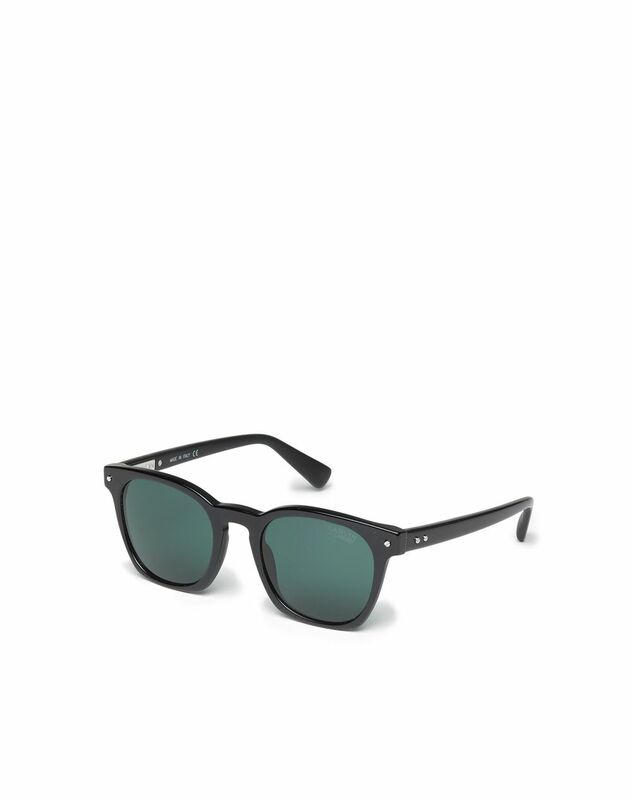 Acetate sunglasses with black rounded square frames and polarised green lenses, 100% UV protection. Easy to wear, this model is suited to all face shapes. 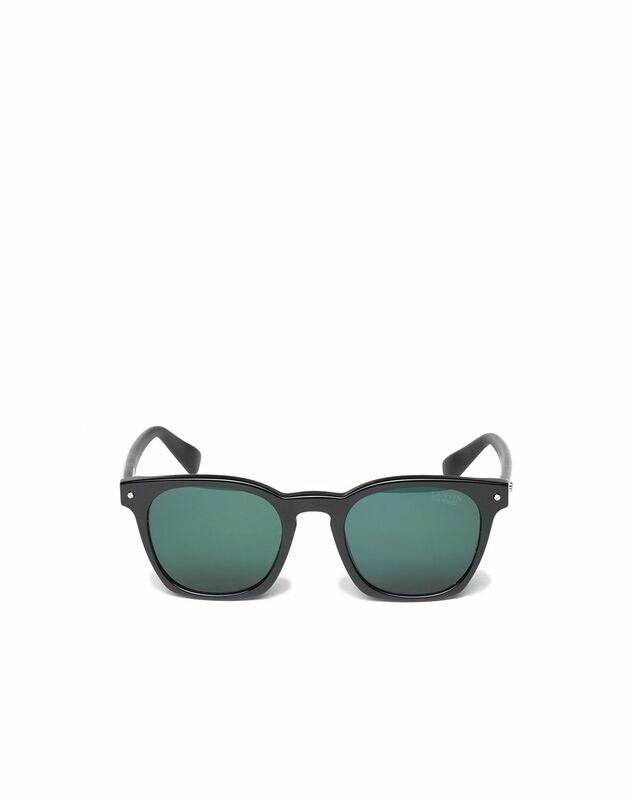 The screw details on the front and temples lend the model an industrial look. Main material: 100% cellulose acetate. 100% biodegradable and recyclable. Lanvin logo. Made in Italy.